It’s not very often that there is a bright side to getting injured. While visiting Performance Health Spine and Sport Therapy to have my Ant. Tib. Tendonitis worked on by Brett, I had a chance to visit with Pete and geek out about shoes for a while. 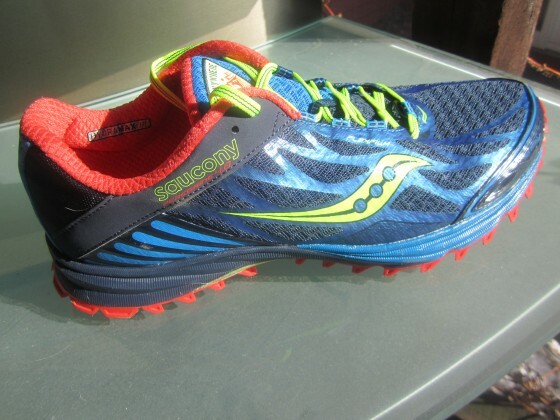 He asked me if I had any interest in reviewing the new Saucony Peregrine 4, which he had just received in the mail (Disclaimer: These shoes were media samples sent free of charge by Saucony). 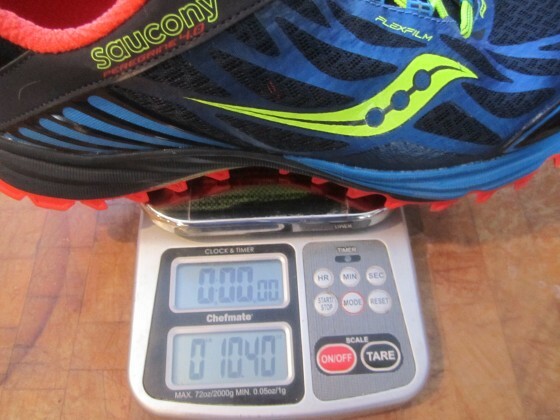 I haven’t worn any Saucony shoes since the original version of the Peregrine. 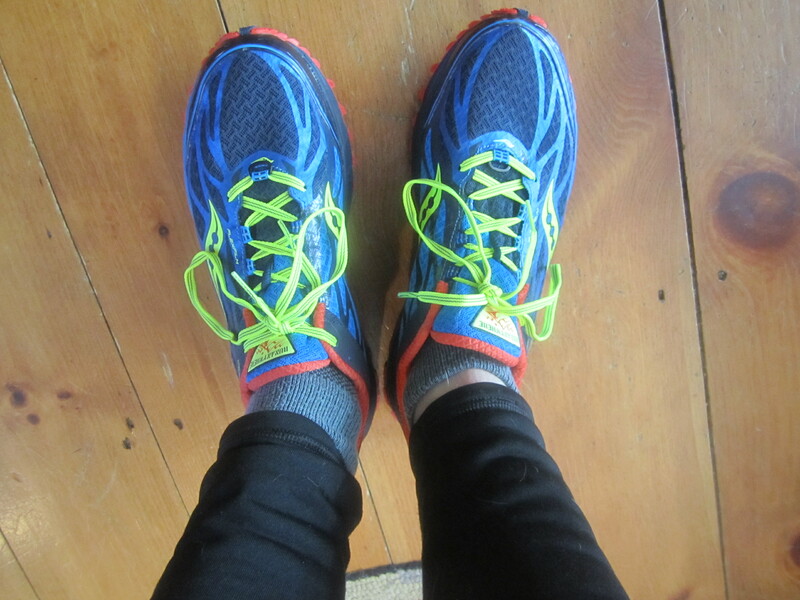 I loved that shoe, but the cramped toe box (and resulting blisters) kept me away. After 60 miles and several long runs, I took them out of my rotation and never really had an opportunity to try any of the revisions. Upon inspection this 4th version still looked very similar to that first pair, with obvious updates like a more aggressive tread pattern. 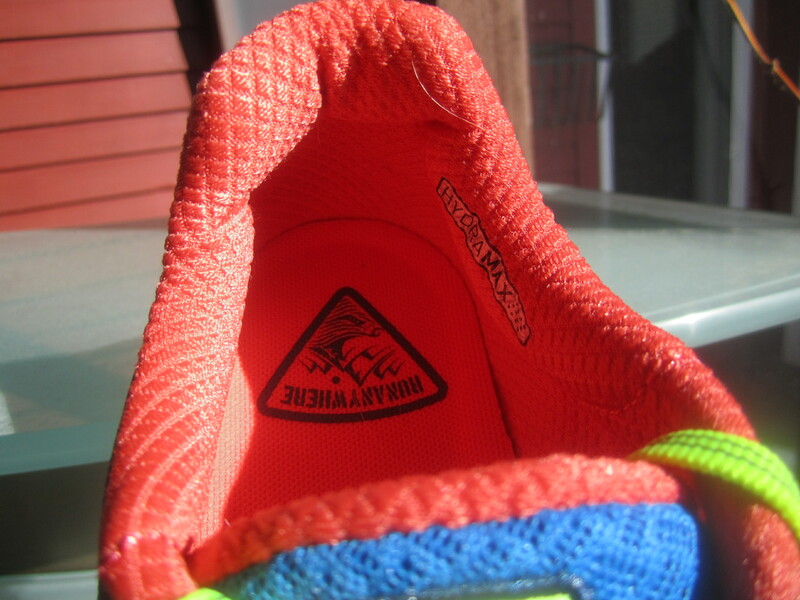 The toe box still looks narrow, but when I put them on I was pleasantly surprised. The tightness that cramped my pinky toe in v1 seemed to be gone. 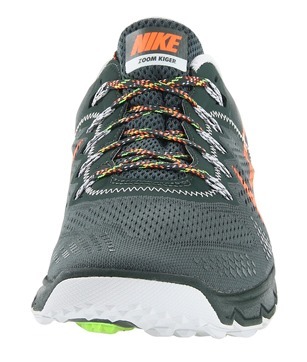 So…who am I to turn down a new shoe to try? When I got home I realized that my original pair was in the back of my closet. So I did what any proper shoe geek would do. I tried one of each on so I could compare. My initial impressions were correct. The toe box WAS more roomy. I was happy about that and decided to take them right out. My first run was a 10 mile jaunt on the snowmobile trails. While not the best test for traction, they performed incredibly well. I had less slippage than usual for the conditions. 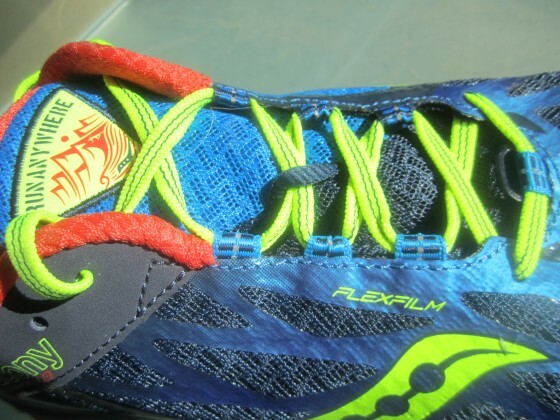 I kept thinking how fast, light and agile they felt, kind of like the New Balance MT110. I was also thinking that this is the direction I would have taken with the next version of the MT110. 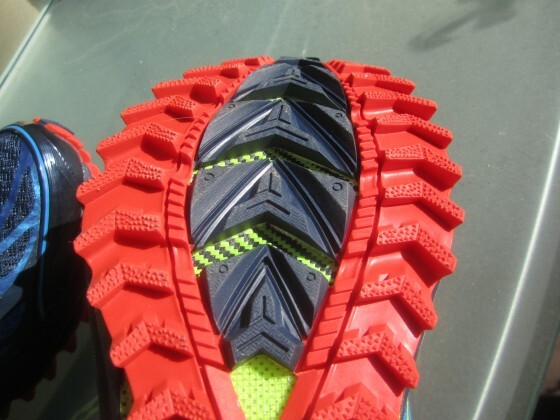 Keep the snug fit, add more traction and a bit more cushioning. That would make them just about perfect. 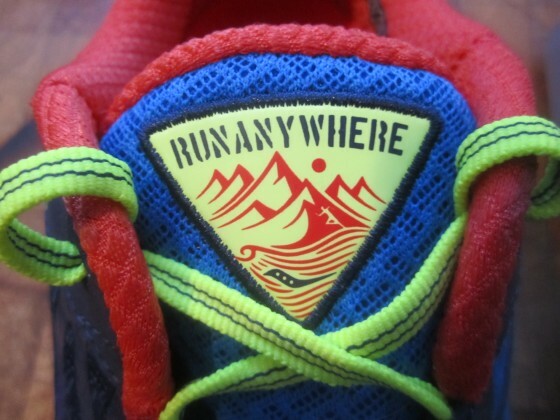 It looks like Saucony beat them to the punch. 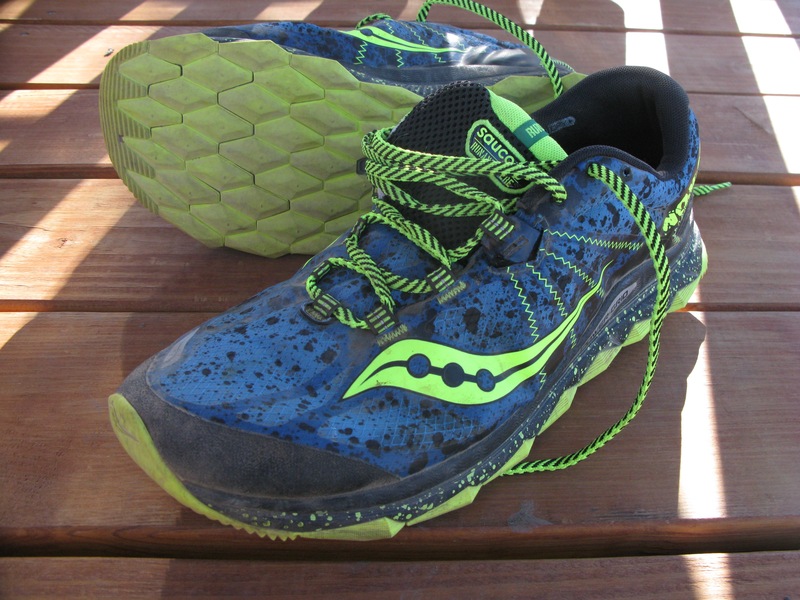 The Peregrine 4’s have a firm feel, with not a ton of cushioning, but they are by no means a minimal shoe. Perhaps when the temperatures warm up a bit they will feel more cushioned. The cold affects some shoes more than others. Being a motorcycle guy and gear head, I get warm fuzzy feelings seeing the real nylon fiber rock protection plate underfoot. It makes this shoe look very “techy”. And, for whatever it’s worth, it’s a great looking shoe with lots of welded overlays and multi direction lugs. Saucony claims 9.4 Oz for size 9, and my size 10.5 weighs in at 10.4oz. 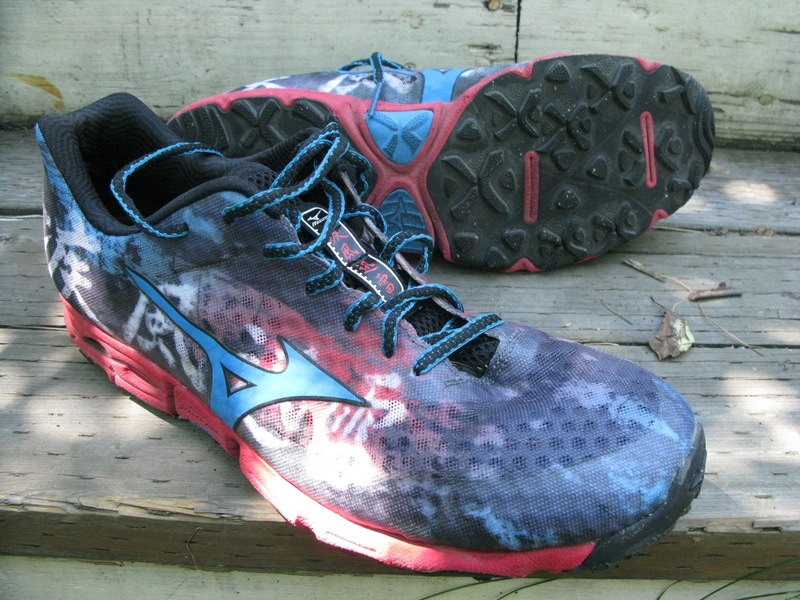 I have run 100 miles in these shoes over 9 runs, including a 20 and 23 miler. Probably 30-35 of those miles have been on pavement. They are showing almost zero wear, making me think that the rubber is very durable. 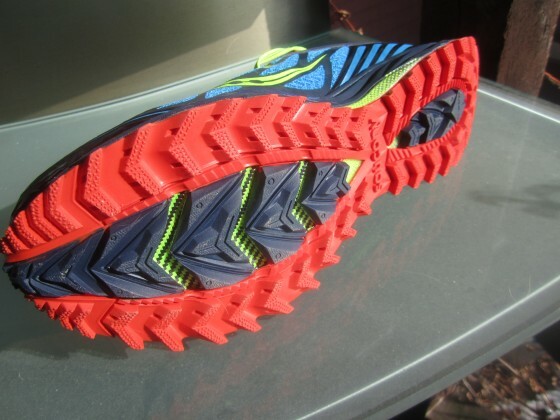 Because of our very cold and snowy winter here in New Hampshire, I have not been able to try them in summer trail conditions. All of our trails are frozen and covered by snowmobile tracks. Great fun, but I have no idea how they will perform in mud and over rocks. I can’t imagine they will be anything other than awesome. The only thing I’m not crazy about is the very stiff heel counter. I like a very soft or non-existent heel counter. I find that when I run a lot of hills with a shoe like this my heel gets irritated, but this is just a personal preference. I am pleasantly surprised at this shoe. It really wasn’t on my radar and I’m glad that Pete passed them over to me. Unlike the first version, this pair won’t be sitting in the back of my shoe closet. As a matter of fact, they are right next to my front door, ready to be worn again tomorrow. 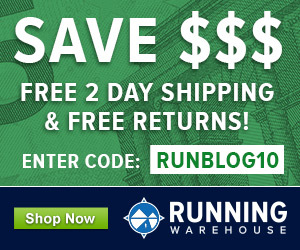 In the US, the Saucony Peregrine 4 is available for purchase at Running Warehouse, Amazon.com, and Zappos. Outside of the US it can be purchased at Sportsshoes.com. I just got a pair of Peregrine 4 for the trails. On the road, I run with Asic Gel-Ds Trainers 19 and I’m a bit worried about the difference of drop between the two pairs of shoes (10 mm vs 4 mm). Do you think It’s gonna be an issue? 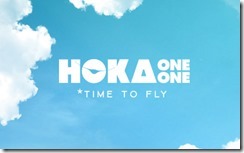 Highly individual – some people can jump to 4mm without issue, others may need a more gradual transition. Just take it slow in terms of mileage buildup, my guess is the biggest issue may be a bit of calf soreness during initial runs in the Peregrines. 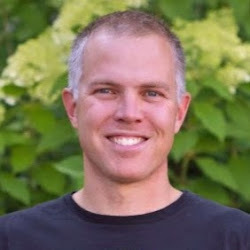 Hi Nate -thanks for all of the reviews. 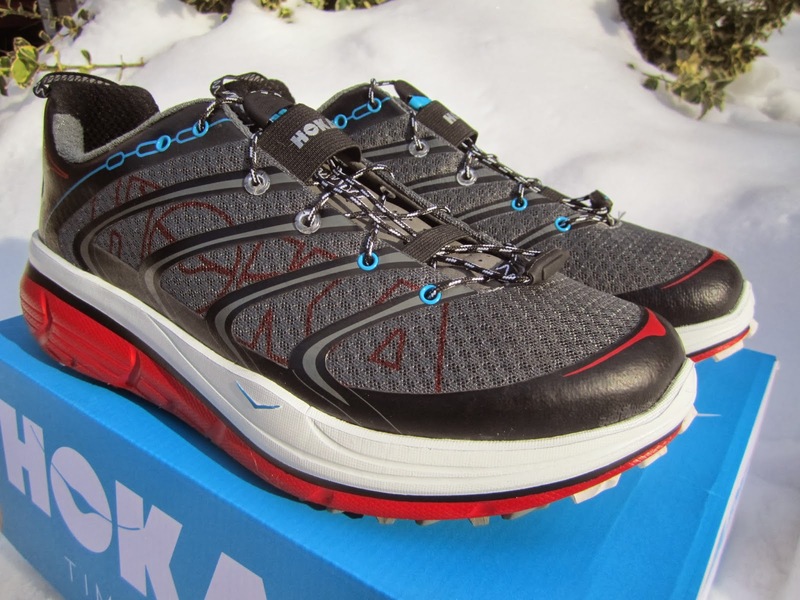 I have an under/neutral pronation and am curious what your vote is between the Hoka Rapa Nui and the P4’s in that situation? 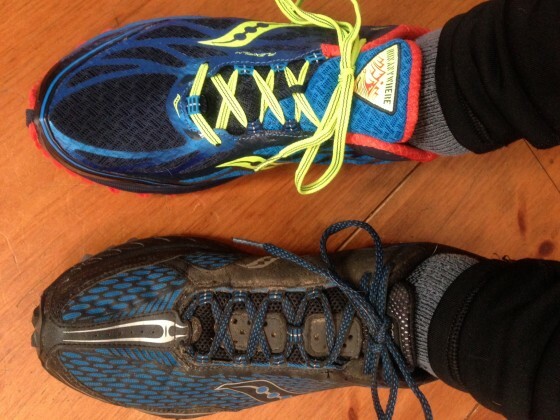 Also, do you have a preference of which tongue on the two shoes (the RN2 seems to have a very short tongue). Thank you for helping me decide between the Peregrine 4 over the speedcross 3’s. After approx 300 miles my Soucony Peregrine 4’s suffered a torn rubber tread covering the rock plate mid foot on one. Otherwise, I have been very happy with their performance.